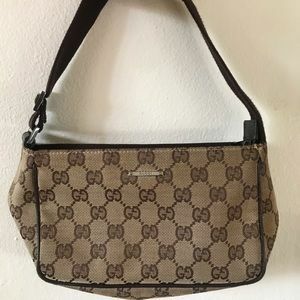 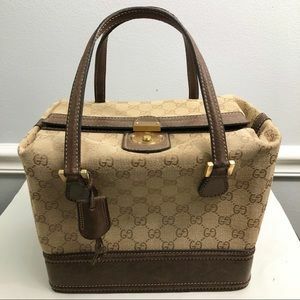 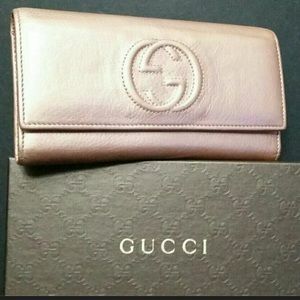 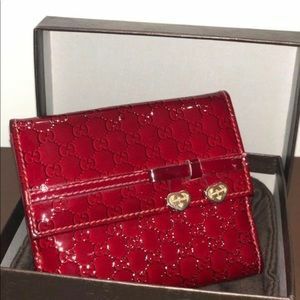 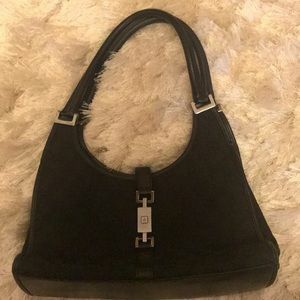 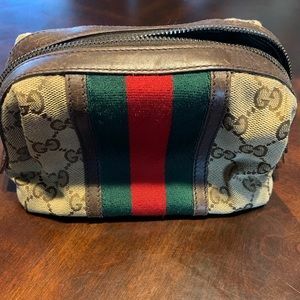 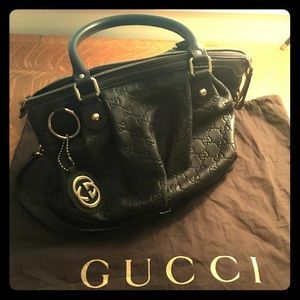 Size: L11" x H9" x D3"
Small Gucci Purse - Vintage! 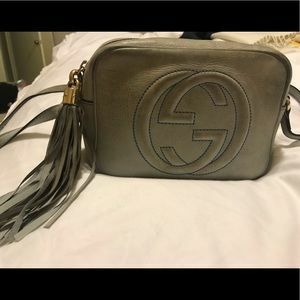 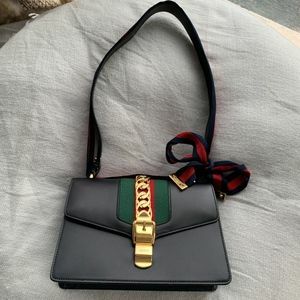 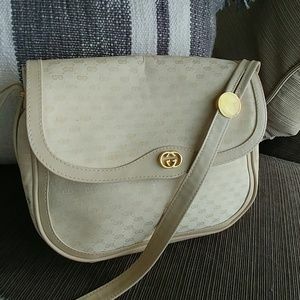 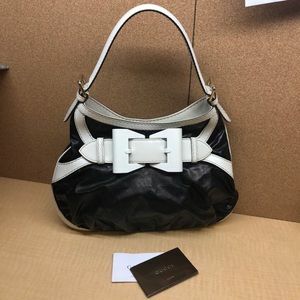 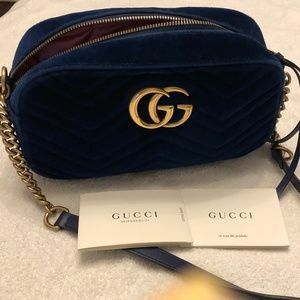 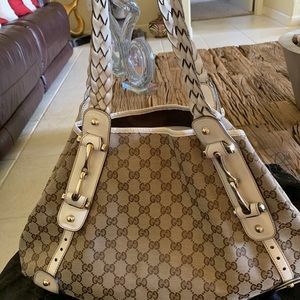 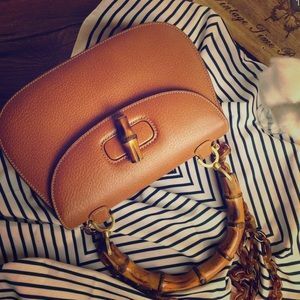 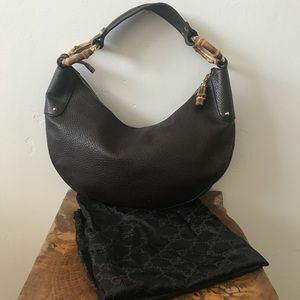 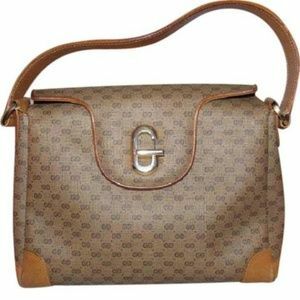 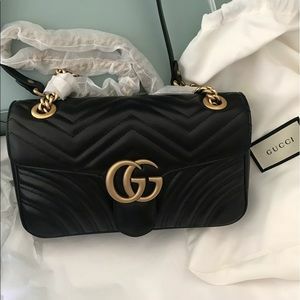 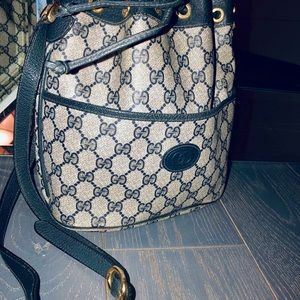 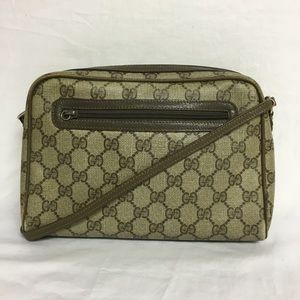 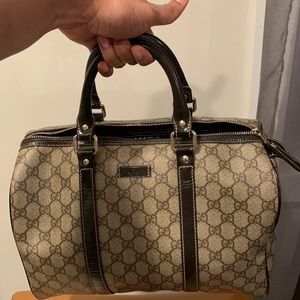 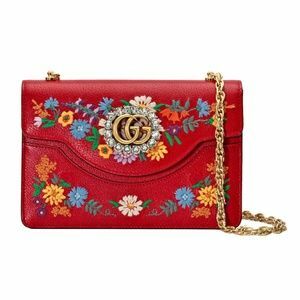 Authentic Gucci shoulder bag w/ bamboo details. 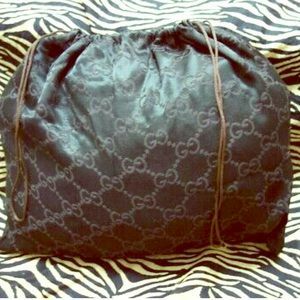 Size: Aprox. 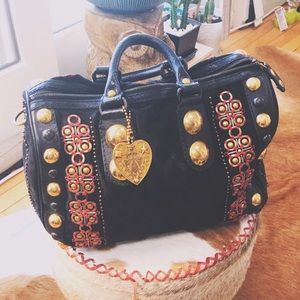 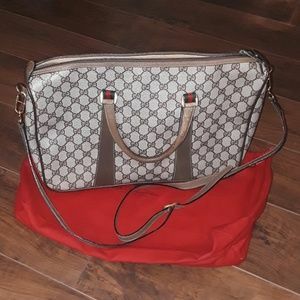 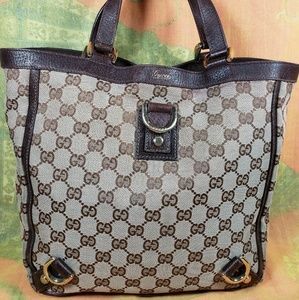 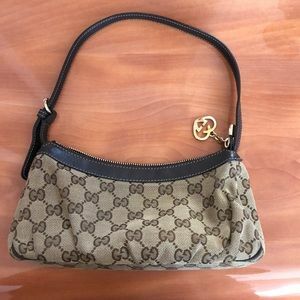 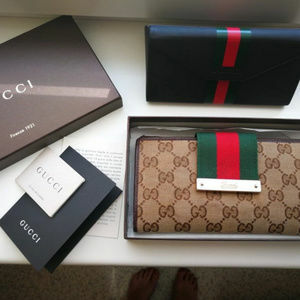 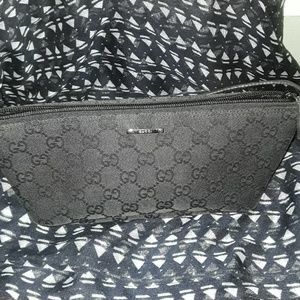 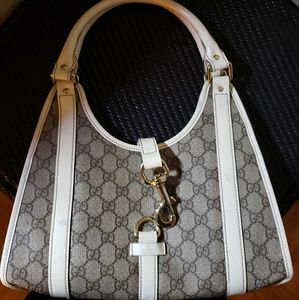 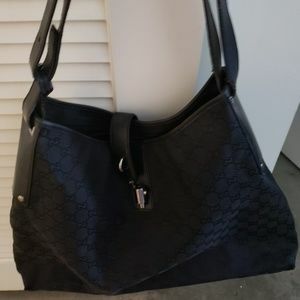 7.5 inH/ 15in W/ 3in D.
Large Black Gucci Bag - Last Day to buy!! 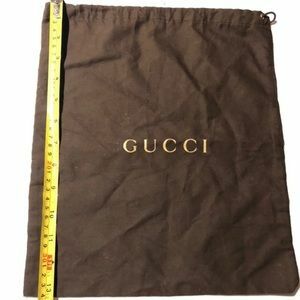 Size: Side to side - Bottom 17". 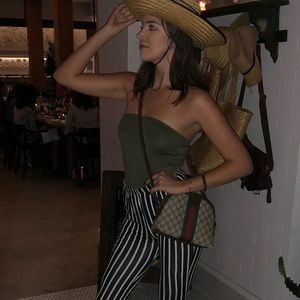 Top 12" . 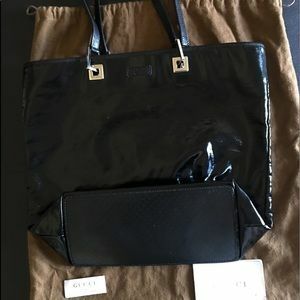 13.5" L - 11"